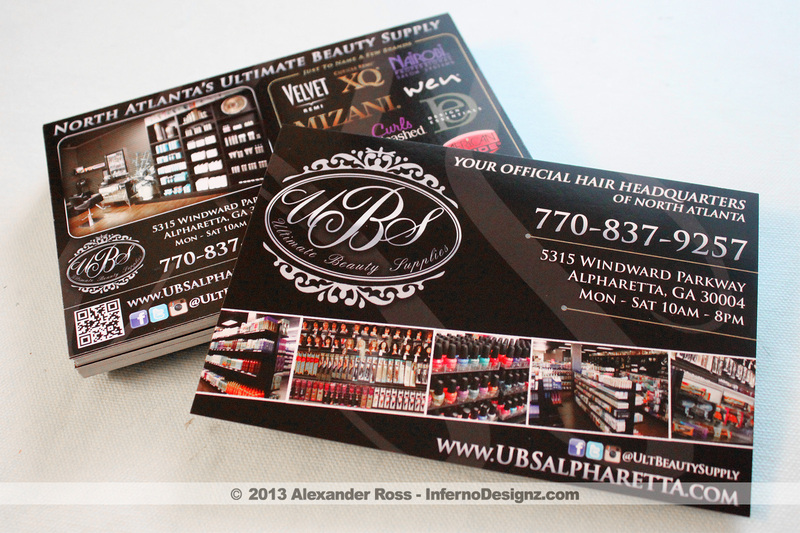 Ultimate Beauty Supply got the complete package when they came to Inferno Designz. The Premium Business Cards, Promotional Flyers and Product Tri-fold Brochure all have a similar design style giving them a professional and unified look. 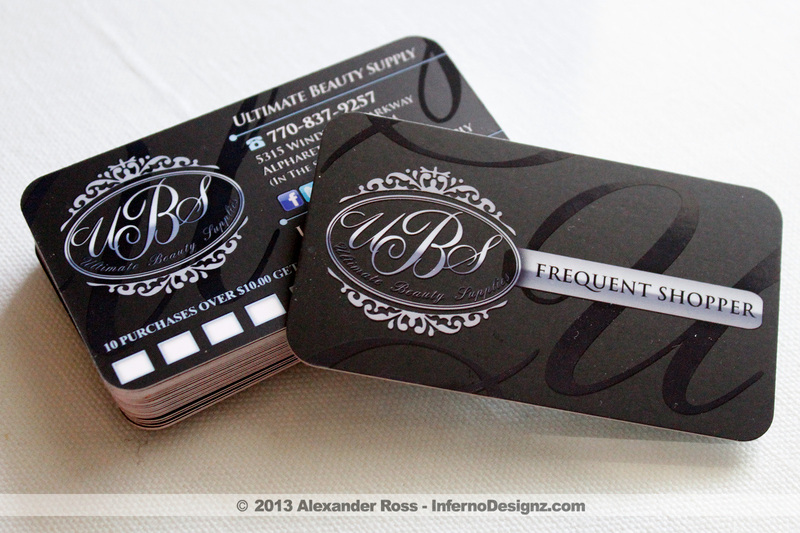 The Business Cards have a silky smooth matte finish with a custom gloss along with the rounded corners. The promo flyers are a extra thick 16pt. 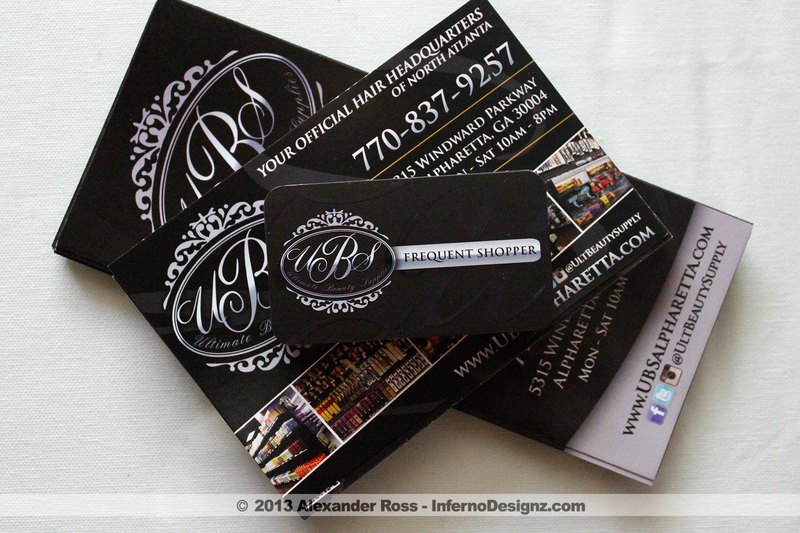 paper stock at standard 4×6 size with a high gloss finish. 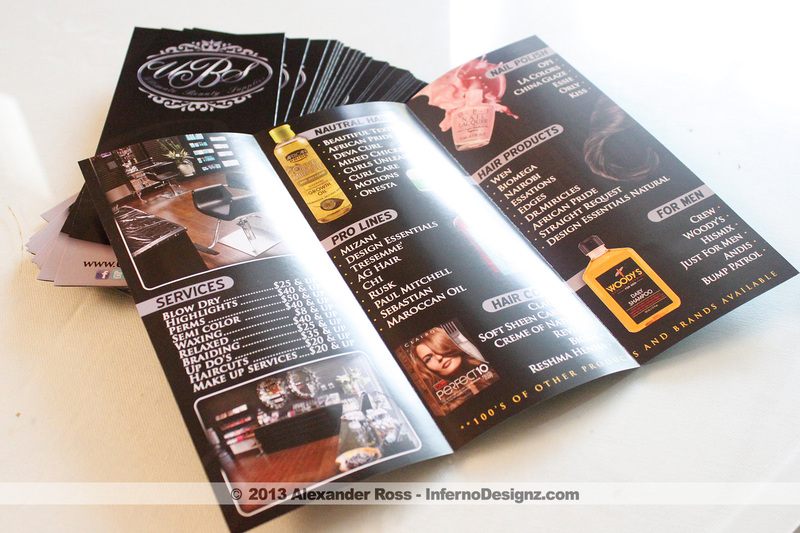 The tri-folded brochures come folded and are a premium 100 lb. gloss book paper stock in full color.